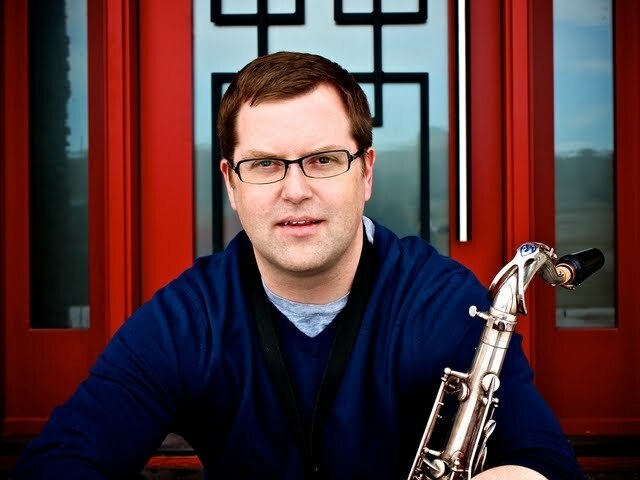 Alto Saxophonist Jeff McGregor is a very talented and dedicated young Jazz artist in the Calgary Jazz community. I've had the pleasure of playing with Jeff quite a bit since my return to Calgary two years ago and he is a constant fixture at many of the city's regular jam sessions including those at the Beatniq and Broken City (more about my take on jam sessions later....) Jeff is also a devout follower of Charlie Parker and I really appreciate his attention and dedication to the bebop language of Jazz improvisation and repertoire in an age where many young people are inclined to ignore that particular portion of Jazz history and important language of improvisation. Aside from some rather unsuccessful piano lessons in elementary school, my musical training began in Grade 7 when I took up the clarinet and took lessons with my father, who is great clarinet and saxophone player. I became interested in jazz music around that time and played in the school’s jazz band, but it wasn’t until Grade 10 that I started taking jazz lessons. 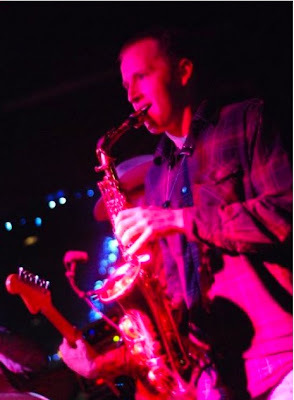 After high school, I went to the University of Calgary and continued taking lessons, but it was a classical program, which left me leading a double life as a bad classical saxophonist by day and a only slightly better jazz saxophonist by night. It was a great experience though and I learned a lot while I was there. After I finished my degree I took a year off to practice and I started the year by spending a few months in Montreal, which was a real wake up call and the catalyst to a whole series of changes that were not so much directly about what I was playing, but rather how I approached music and what it meant for me to be a musician. Charlie Parker and John Coltrane are my two absolute favorite musicians and their music has been my main point of reference since I first began listening to their recordings in high school. Both of them embody everything that I value musically and they are still the centre of my musical universe and probably always will be. Beyond that, Miles Davis’ bands and all the musicians who played on his recordings continue to have an important influence on me. Classical music has also been a significant part of my musical life. Composers like Beethoven, Brahms, Bach, Stravinsky, performers like Glenn Gould, Emmanuel Pahud, Evgeny Kissin, and orchestras like the Berlin Philharmonic have been a major source of inspiration and, above all, enjoyment for me. Even though I think that the process of being a jazz musician and that of a classical musician are fundamentally very different, I still learn a great deal from that whole tradition of composition and performance. All that said, I listen and learn from everything from The Beatles, Bob Dylan, and Radiohead to Mos Def, The Roots, and K'naan. I’ll check out anything that spontaneously catches me, no matter what it is. There are some truly embarrassing songs on my iPod, but I think that if there is something in a piece of a music that I react to, then there is something there worth getting at and thinking about, even if overall it is not the most amazing piece of music or played by the greatest musicians. The fact that a song gains mass popularity means that something is there that people react to and that is worth thinking about, regardless of whatever other limitations the music might have. Charlie Parker’s “The Washington Concerts” is my favorite Parker recording and has some of the most unbelievable saxophone playing and overall music I have ever heard. Kenny Garrett’s album “Triology” was an early favorite of mine and I still listen to it all the time. He is a master at structuring solos so that they you get a real sense of logical and cohesive development and progression. 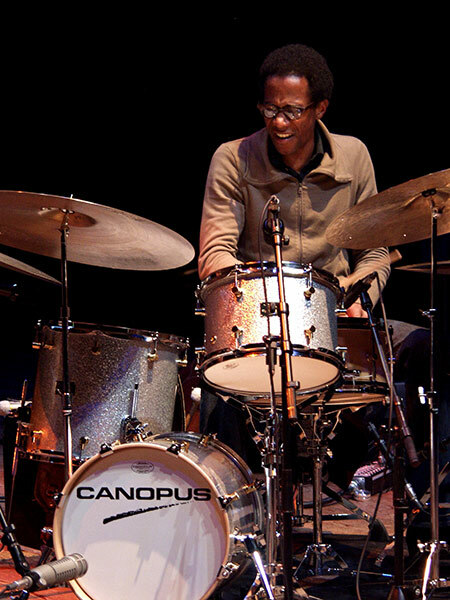 That and it has Brian Blade, so what more can you ask for? John Coltrane’s “Live at Birdland” is one of my absolute favorite albums. One of the interesting changes from Coltrane’s early style to the middle style is that he began playing far less than in his early recordings and I think that “Live at Birdland” is a great example of how Coltrane found a way to say more with less. Miles Davis’ “Milestones” is my all-time favorite album. Everything about it floors me. 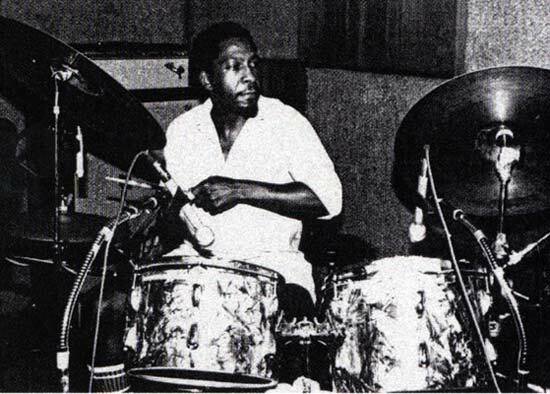 Miles, Coltrane, and Cannonball play some of the most amazing solos I’ve ever heard, but the real thing about that album that I can never get over is the time feel and the overall sound that the group produces. That album is really unique and I don’t think that there are any other recordings in any of those musician’s discographies that are like it. In high school, I bought a copy of Milestones, because my school band was playing an arrangement of the title track. Over the years, I have probably listened to that album a few hundred times and I have gone through periods where I was waking up early every day to listen to the whole thing top to bottom. It’s the one! A lot of the work I’m doing centers on strengthening those fundamental things like sound and time. Everything always seems to come back to those things, so it is really an ongoing and endless project. I’ve been trying to keep one Parker transcription and one Coltrane transcription on the go, so I’ve been spending a lot of time just working on engraining those solos and trying to get it as close to the recording as I can. Easier said than done! Also, I’ve recently started trying to play a bit of drums and I am trying to focus more consistently on developing my piano playing. I’m not sure how deep one can get into rhythm, time, and harmony without some sort of grounding in those instruments. Very much a work in progress! Right now I’m preparing for a quintet show that is playing mostly my own originals and I am hoping to keep this as an ongoing project, but unfortunately half the band doesn’t live it Calgary, so we’ll see! I would also very much like to start a trio with bass and drums. There have been a number of really excellent trio recordings over the last decade and I would like to try and get into some of those tunes, plus do some writing. In a slightly different vain, I have been working on a sax/drum duo that plays original tunes of mine and is far freer than a lot of the other music I play, which is something that I’m trying to get more comfortable with. 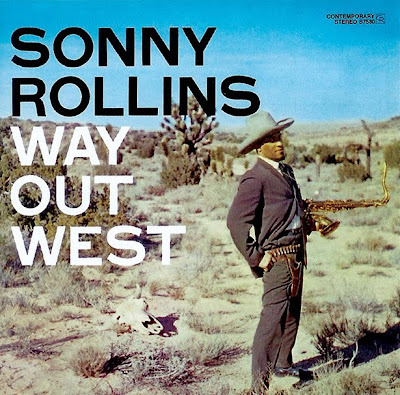 6) Your personal study of the harmonic and melodic language of bebop is both impressive and admirable. 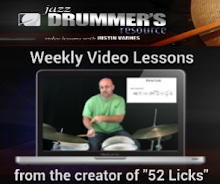 Why do you think it is important for students these days to study this technical and stylistic approach to Jazz improvisation? The reason why bebop is important for students to study if that everything needed to play it is what is required to play any type of Jazz music. I think that younger players sometimes get the impression that bebop is an outdated style and that studying it is more of a tribute to the past rather than a path to playing more contemporary music. I think what this idea misses is that the music of today really still is bebop in many ways. 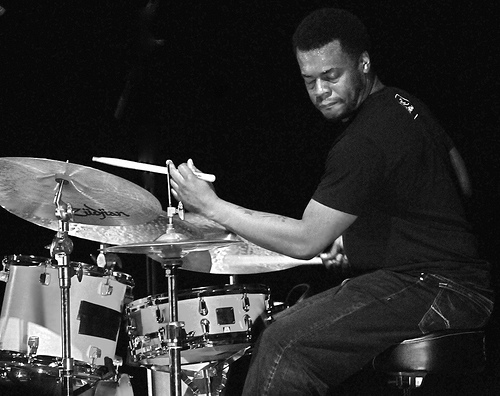 For example, take Chris Potter, Kurt Rosenwinkel, and Brad Mehldau, three of the most cutting edge musicians on the current scene. If you take a look at their improvising, I don’t see many fundamental differences between what they are doing and what Charlie Parker was doing and there is a whole lot that is same. The biggest differences are in the harmonic and rhythmic contexts that these musicians improvise over, but the basic approach to rhythm, harmony, and melody is fundamentally the same. What all this means is that to learn to play modern jazz is to learn to play bebop, because bebop is modern music. Shawarma King on Kensington Road never fails me and they’re open until 4:00 AM and they deliver. Tough to argue with that! James Black is important drummer from New Orleans that drummers should be aware of and who had a profound influence on many of the Crescent City's Jazz and funk drummers. Take a deep breath and check out this guy's left hand ! Joe Ascione is a good friend and I had the opportunity to take a few lessons with him in 2004 while I was spending some time in New York City. At the time Joe was teaching out of the basement of the Ed Sullivan Theatre (home of David Letterman and the Late Show!) in a drum practice space that was shared by a who's who of famous drummers. Joe is a fantastic musician and heavily influenced by the likes of Buddy Rich and Gene Krupa. "Joe Ascione, a first-class drummer in New York City, began playing drums at age two and began playing professionally by age twelve. 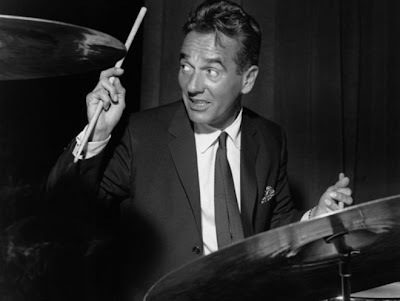 As a teenager, serving as a roadie for Buddy Rich, Joe soon fell under the influence of the leading jazz drummers of the day, most notably Gene Krupa and Buddy Rich. Joe has played on concert stages around the globe with well known artists such as Cab Calloway, Jay McShann, Al Hirt, Noel Redding (former bassist to Jimi Hendrix), Donald Fagen (of Steely Dan) Eric Schenkman (Spin Doctors), Billy Mitchell, Kenny Davern, Joey Defrancesco and many other jazz, pop and rock musicians. 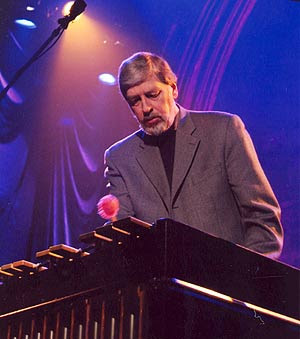 A fixture at jazz festivals since the early ‘80’s, Joe has appeared on over 100 recordings. 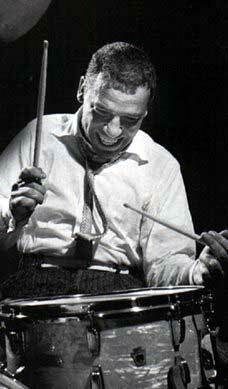 Joe’s debut recording, My Buddy, is a tribute to Buddy Rich. His latest CD recording, entitled Movin’ Up on the Arbors label, is the disc of which he is most proud. Most recently, Joe has toured as the rhythm half of the “Frank & Joe Show,” a rousing celebration of swing and Gypsy jazz with master jazz guitarist Frank Vignola." The Pace Report: "Mela's Cuban Groove" The Francisco Mela Interview from Brian Pace on Vimeo. The Pace Report: "Work To Do" The Carl Allen and Rodney Whitaker Interview from Brian Pace on Vimeo. The Pace Report: "For The Love of Vibes" The Gary Burton Interview part 1 from Brian Pace on Vimeo. 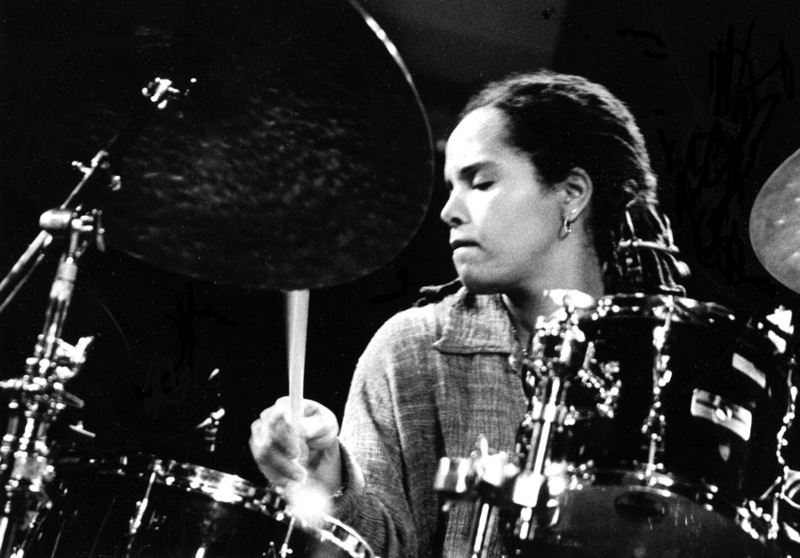 The Pace Report: "Cindy Blackman: Explorations" from Brian Pace on Vimeo. 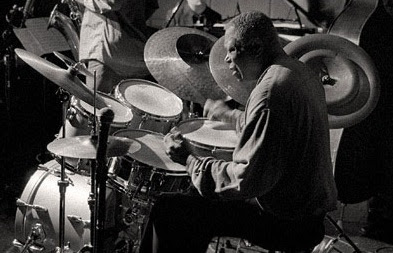 The Pace Report: Jimmy Cobb Trio Tribute To Hank Jones from Brian Pace on Vimeo. The Pace Report: "A Major Milestone" The Adam Cruz Interview from Brian Pace on Vimeo. The Pace Report: "Dissecting Coltrane" The Saxophone Summit Interview (Liebman, Lovano, Coltrane) from Brian Pace on Vimeo. The Pace Report: "Destinations" The Tamir Hendelman Interview from Brian Pace on Vimeo. The Pace Report: "Live in New York: at The Jazz Standard" The Antonio Sanchez Interview from Brian Pace on Vimeo. Gregory Hutchinson needs your help. Whether playing the piano, bass or the vibraphone Don exhibit's a masterful and original personality and approach on all three instruments. But for some reason his vibraphone playing really resonates with me the most (although I love his playing on any instrument!) His fluid lines and buoyant rhythmic feel combined with the forward momentum he gets from the instrument really do it for me and inspire me every time I hear him play. I really admire the collection of influences that come together in this fine drummer's playing ranging from Buddy Rich, Sam Woodyard, Sonny Payne and Louis Bellson. Thanks to vibraphonist Arnold Faber who brought this one to my attention via the Facebook. I think we need more of this kind of thing these days. Maybe not so much competitive "drum battles" but drum set players coming together to make interesting and creative music together like this. I could listen to that cymbal beat all day. 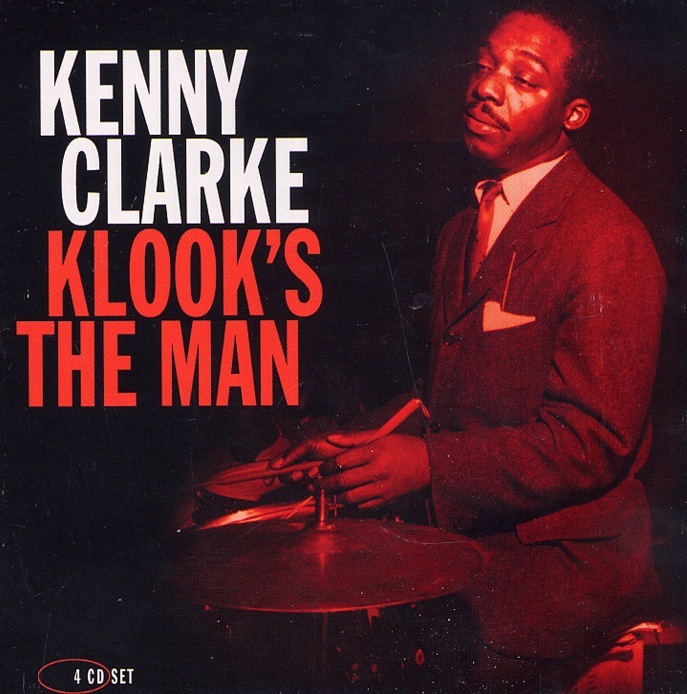 Klook truly is the man! This particular group is probably my favorite Buddy Rich small group that featured a young Mike Maineri on vibraphone and Sam Most on flute. 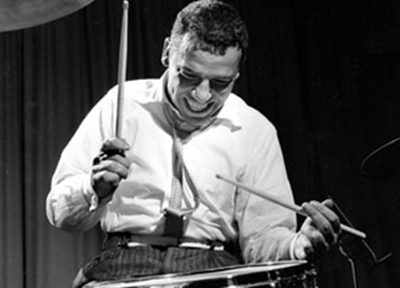 John Riley hipped me to the album "Blues Caravan" awhile back that features this same group and has become one of my favorite Buddy Rich recordings outside of his more well-known big band work. Today's "Calgary Scene" interview features our very own local tenor titan Jim Brenan. I've known Jim since I moved to Calgary in 2004 and have had the pleasure of playing drums in his band co-led with his twin brother trombonist Craig, The Brenan Brothers, with Jim's own groups and currently in a collective trio along with bassist Rubim DeToledo. Jim brings a wealth of experience, knowledge and a very high level of musicianship to the scene here in Calgary. Jim was nice enough to grace us with an insight into his musical mind and creative ethic. Growing up music was always present in my house. My father was a huge fan of Soul and R&B, (and later Rock) so we constantly had music like Ray Charles, Etta James and Sam Cooke on the record player. Apparently the only thing to get my brother and I to settle down was music and I recall listening to the Jungle Book a lot! I never aspired to play a musical instrument until grade 7 when the choice for electives was Drama, Art and Music, we had to choose two. Art was a definite as I had decided to become an artist when I grew older (drawing comic books). The first day of music class I started thinking about what instrument I might like to play, I chose the saxophone due largely in part to a concert band performance of "The Hustle" that I had heard the year before. By the time I was in grade 12 I was definitely into jazz music. 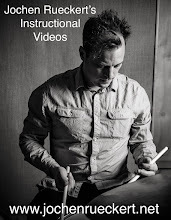 I knew what chord changes were and I had been told what "Licks" and "quotes" were but I never really put it all together, so I started to look around and discovered that there were some teachers that knew how to put all of this together. Enter Gordon Towell, the first teacher to start to fill in some gaps. Studying with Gord was mostly about language, and was an excellent introduction to playing. He pointed me in the right direction as far as listening and transcribing were concerned-I didn't always listen to what he said but looking back he said all the right things! After High school I was accepted into both music and art programs but chose art, and began to fulfil my dream of drawing comic books, but somehow music kept entering the picture. In the summers I auditioned and played in a jazz band at Grant McEwan for four months on a minimum wage grant. I really liked it and eventually the director Ray Baril enrolled me in the music program. I studied with Ray Baril for saxophone and Rick Garn for improvisation and really enjoyed playing with like minded musicians. I eventually moved on to St. Francis Xavier University and received a Bachelor of Music degree. 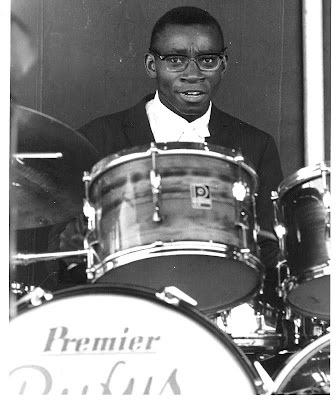 I met a lot of great musicians and played as much as possible and even took some fantastic lessons with some great teachers but it wasn't until I started my masters degree with Ralph Bowen at Rutgers University that I started to feel like I was learning how to play. Ralph took a no fear approach with me. 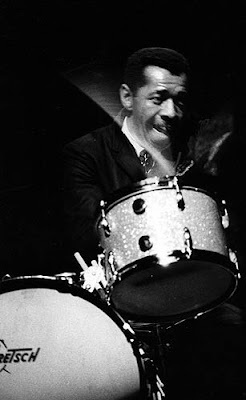 He was not hesitant to pile on the work, requesting I transcribe to memory a Coltrane solo each week eventually requesting I memorize two per week. On top of that he spent the time with me filling in the gaps. The work was demanding and his expectations were extremely high. He expected everything done correctly each week and I had nothing but time to sit in a little room and work it out. I ended up studying with Ralph for about 8 years. He is constantly evolving and had a ton of material to show me. Even now if I have any questions I call and we talk it over. Ralph is/was key in my musical development and I am happy to call him my most influential teacher and good friend! My last teacher was the legendary Charlie Banacos. I studied with him through the mail for four cycles. His lessons were also great. I really enjoyed the process of being analyzed by someone who can only "hear" me and then being prescribed a series of exercises to help re-direct my approach. Charlie unfortunately passed away but I have plenty of material to continue focusing on and I hope to find a new teacher soon. -Michael Brecker: When I first heard him on the ablum Heavy Metal Bebop I thought he was a guitar player! I really like Brecker's energy and I like the blend of pentatonics with everything he does and that he used the same language over his entire career and it never seemed stale to me, even though you knew it was coming. Joe Henderson: I have always been drawn to his recklessness. He seems to me to always be on the verge of collapsing but at the last minute makes it work out. I like that he is his own player and I'm sure he was influenced by Rollins and Trane but to me he has his own voice equally as important as the "Big Two". Eddie Harris: I hope to capture his effortless flow and relaxed tone. It doesn't always happen but I sure do love it. Plus he has a fantastic altissimo sound. Sonny Stitt: He's my favorite of the bop era guys. I love his time feel and his lines. They seem so obvious and always feel so great. I have spent many many hours transcribing him and every so often something comes out. -John Coltrane: Of course, that sound and approach! 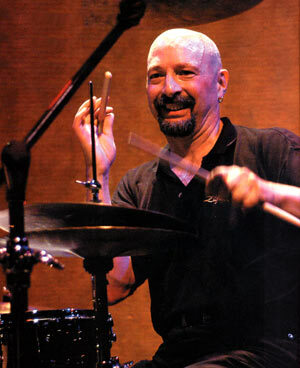 -Steve Grossman: I spent a lot of time listening to Steve (with the Stone Alliance!!!) and even transcribed the entire "Love is The Thing" album. I learned a lot doing that and love his Rollins/Coltrane approach to everything. 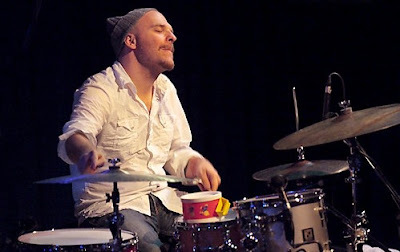 Joel Frahm: I got to play in a blues band with Joel over a two year period! he can certainly play the blues and has one of the best time feels going plus he's a sweet heart!! I definitely have checked out a lot of other fantastic musicians and transcribed some of their stuff as well: Jerry Bergonzi, Chris Potter, Phil Dwyer, Mike Murley, Donny McCaslin.....the list can go on and on. Ok. This is tough. I am going to try and be legit. No box sets! I know as soon as I commit to five I'll think of five more. Hulk smash!!! To me this is the most beautiful Trane record. Everything is perfect: his sound, melody, harmony, time, everything is perfect for me on this album. I used to spend hours playing along with this one. It definitely defines Tranes' sound for me. Purchased at Borders books, New Jersey. A great album. Every solo is like a work of art and the lines are fantastic! Purchased at South side sound Edmonton, Alberta. I definitely still practice everyday, well... nine out of ten days. I love playing and I spend a lot of time working on facility and learning new material. I don't know a million standards so I am always working on new tunes. I still keep a practice journal and have a specific warm-up that I follow. I make changes to it every now and again, but it is a constant. I just got a new mouth piece (an Aaron Drake "son of slant") so I have added long tones with a tuner back into my daily routine. I added an hour of clarinet to my routine for the summer and I have a few solos I am transcribing (first up Eddie Harris on "Yeah, Yeah, Yeah"). I am also reviewing some Charlie Banacos material. I am noticing that his material is just starting to become more prominent in my playing (finally). But my big project for the last six months has been to work my way through the slonimsky book in all keys. I have a goal tempo for each exercise. Some exercises take a bit longer than others to master but I love this type of work. I think it will take another few years to finish. I have a few projects happening. The first is my band with my brother: the Brenan Brothers and we are starting to write a new project for a recording in the winter. I have a quartet (with Chris Andrew Rubim de Toledo) and have invited drummer Dana Hall to come and record with us in November. 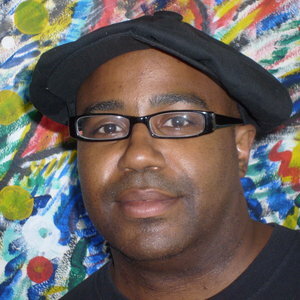 If you are not aware of Dana check him out. I am getting ready now for the inevitable. 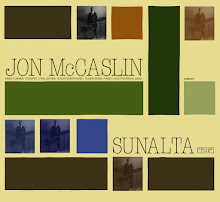 And I also have a new trio project started (with Jon McCaslin and Rubim de Toledo). It's definitely in its infancy but it has started out as an opportunity to play Joe Henderson's music and has evolved into a power trio of sorts-its very fun! 6) As an educator you've had a diverse experience from teaching in such places as Fort McMurray, New Zealand and now Mount Royal University. What can you tell us about your philosophy towards teaching Jazz music to students? I have had some excellent teachers and some poor teachers and I can definitely say I have learned a lot from both. To me the best teachers may not have had all of the answers but they knew how to point you in the right direction to find the answer. So I would say I try to approach teaching with a lack of ego. I also try and approach each student a little differently as far as motivation and/or style of learning while maintaining a set of reasonable expectations. I also try to use a lot of humour and try to create a relaxed environment while I definitely try to celebrate the music with each student. 7) Best burger in Calgary? It has sort of has that big yellow Gretsch drum set era Tony Williams vibe to it when you work it up fast enough. I've also meaning to track down the album "Are You Ready For This?" 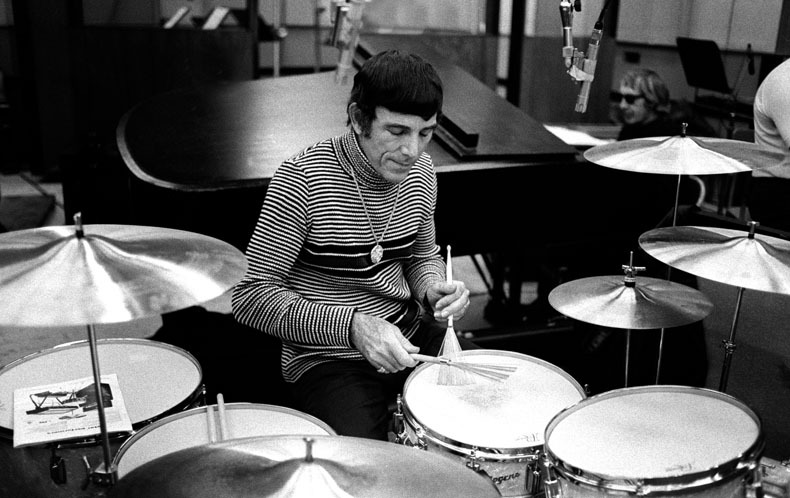 where Louis Bellson meets Buddy Rich in some, allegedly, pretty heated drum exchanges. As Kenny Washington stated to me regarding this particular recording: "Those two were both out for blood on that one!" 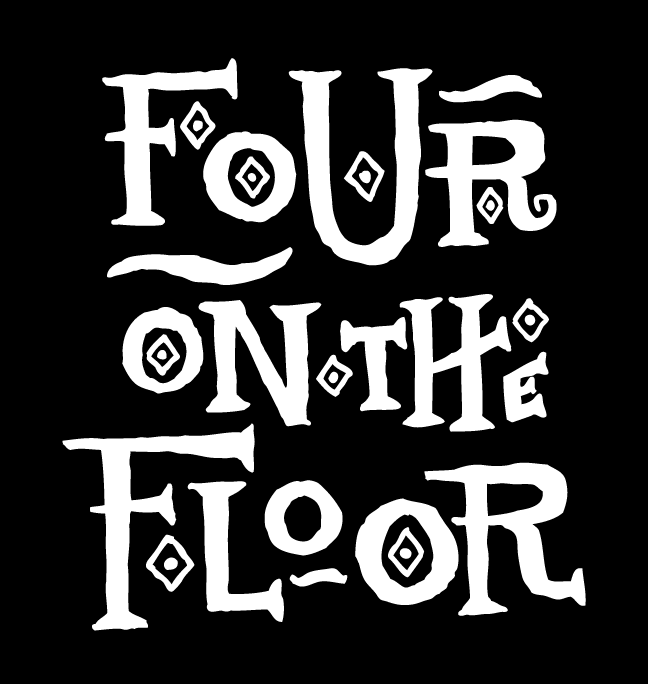 Today marks the first of a series of interviews I'll be presenting here at Four on The Floor. 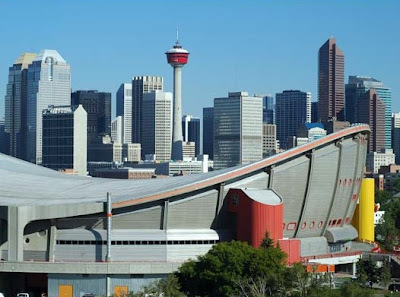 "The Calgary Scene" is a new regular column on my blog that will feature many of Calgary's Jazz artists and people who are involved in the local Jazz community. There are lots of talented artists and amazing people in this city and I would like to tell their stories. These are by no means intended to be exhaustive mega-biographies and detailed accounts of one's career, but rather a snapshot and a glimpse into the minds of the people who represent the backbone of Calgary's Jazz scene. 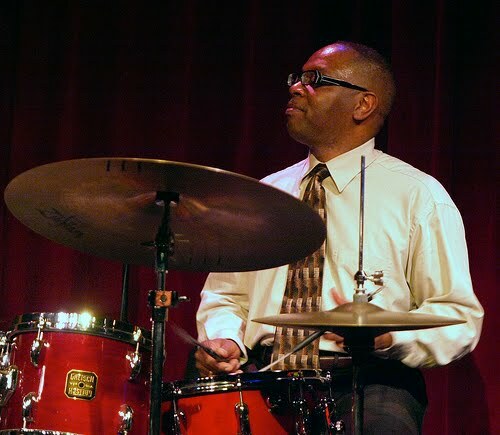 I was inspired by Peter Hum's "5 Questions" over at jazzblog.ca as well as Ted Warren's "Inside the Drummer's Studio" on his blog Trap'd and hope to use those models to feature my Calgary Jazz colleagues. 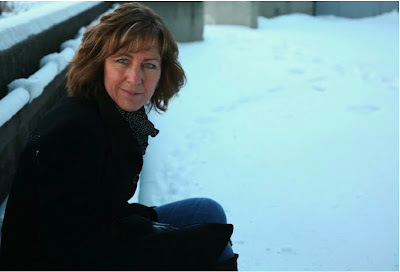 Lorna is a wonderful Jazz educator at Western Canada High School in Calgary and also happens to be a very accomplished composer and pianist as well. She has several recordings featuring her own original music to her credit and recently released her most recent album "Time 4 Change". As you'll see below, Lorna is very passionate about what she does and very eloquent when articulating it. I have played piano all my life – almost literally. Someone deemed me musical from some early age. Actually, someone deemed me ADHD and tried to put me in things to tire me out. I started in dance at about age 3 or 4 and the instructor seemed to think I should study music (she probably wanted me out of her class and this was a positive way of achieving that end). I started formal piano (Royal Conservatory – which was Toronto Conservatory at the time). I loved playing (hated practicing) but managed to complete my grade 10 before I headed off to University to study sciences. I discovered I was not meant to be a medical doctor within the first month of study and by year two transferred into music. I had always been writing music but wanted to pursue piano performance and did so for a while until composition called so hard that I could no longer resist and moved to the “dark side” (much to the chagrin of my piano teacher – she told me it would be a short love affair). After my graduate degree in composition I worked as a composer in and around the Calgary area. I wrote for CBC radio, Decidedly Jazz Danceworks, Theatre Calgary and several other arts organizations but, I must admit, the work that was really creative, that allowed me to be really expressive, was usually the work that had the tightest budget so I thought if I put out a recording of original music it might help put me in a position where I could pick more of the jobs that suited my writing needs. I got a FACTOR grant and recorded an album of original music with some really great players. What I hadn’t calculated was that my skills were not where they needed to be in order to impress anyone so I was kind of back at square one (although at that point I could not see how much I had gained from that experience). I think I became quite frustrated at this point in my life and decided to pursue a different career. Something that allowed me to be creative but that had a real practical/functional side to it. I took a couple of courses in education at the University of Calgary and started to believe I might be okay as a teacher. Over the next couple of years I finished my degree in Secondary school music and landed a job in my old high school the next Fall. I have to say that teaching has been an amazing experience for me. The students I get to work with are as inspiring as any professional musician I have ever worked with (and that is not a put down, teenagers can be an amazing source of energy and truly inspiring). As I was teaching Jazz to singers and players, I really started investigating something that had been rubbing up against me for many years – the world of Jazz. As a player I had done a few corporate gigs in my youth but I never knew what I was doing and was always surprised when someone handed me money at the end of a gig. As a composer in electronic music (at University and on many projects) I had been “toying” with improvisation as a means of putting life into music that was created with very set structures, forms and devices like ostinatos. This was something I always loved in the music of Bartok but also worked well when I had to work within very small budgets when writing for cash strapped dance companies and arts organizations. You hear this in my writing all the time. Sometimes I force myself to stay away from these devices because they are so recognizable but they can also be very satisfying especially as a method of creating unity. This can allow one to get really “outside” because the listener has something to hold onto and then you can really go for a good ride in your solos. So between the need for the life-giving qualities of improvisation on top of structure and the need to be incredibly frugal, I became very interested in Jazz (it was always there. In my “classical” writing – it was always there in feel, in texture, in rhythm – it is simply the way I was to morph). 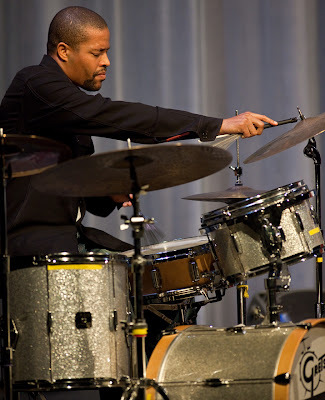 Today, I’m not sure I consider myself to be a Jazz player so my answer to the second question is something like “I’m still hoping to learn how to play in the Jazz style but haven’t figured out the best way to start my formal education in this area”. I often ask myself, at this point in time, is it best to focus in on my weaker areas as a musician (and as a person) and try to improve these things/correct these things or is it better to work with your strengths and just go in one direction. For example, I am realistic about my abilities as a player (I’m okay but have lots of room to grow), as a composer I have developed a few more skills – I also live for this part of the “sport” and would consider this my strength and as a singer I have lots of room to grow but do something that is part of what makes me unique so I don’t really want to change this a lot (which is good ‘cause I don’t have tons of time) I just want to do it more. 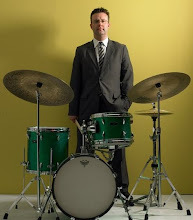 I have started to learn more about the formal structures of Jazz and the different styles through my own research, discussions with well-informed people like you, lessons with David Braid, Dave Douglas, Hugh Fraser. Workshops at the Banff Centre, conferences, etc. but, in the end, the thing that helps put all this information together is actually playing it live and I have been so fortunate to have great players around me every time I get out and play. I would have to start with that recording of 1957 – “Kind of Blue”. That was probably the first thing I ever really listened to. I still love it and as I listen I sing back the little motives that Miles plays in his solos or the ideas that John Coltrane or Cannonball play. Everytime I hear it there is something else I didn’t notice. Such simple ideas with such an enormous impact – that really summarizes. I strive for that in everything I do. It has become a metaphor for life – how can you make an impact, how can you really move someone in the most concise way? Other influences: Maria Schneider – she is a role model for me – obviously because she is female and working in a very male-dominant “sport”. I don’t want to get on my pulpit here but this is also something that keeps me teaching. Never underestimate the power of a role-model. If I do nothing else, I will be happy to believe I had a positive impact on the lives of young women in helping them to achieve what they are capable of, what is rightfully theirs to achieve. Bill Evans because of the sheer beauty of his work through great tone and simple, thoughtful line. Brad Mehldau, Dave Holland, John Scofieild…. This is too hard. There are too many influences… There is a lot of brilliance out there. Well, obviously “Kind of Blue”, - great, singable ideas that can be used to teach, learn and feel. “The Real McCoy” – McCoy Tyner’s amazing development of ideas remindes me that improvisation is simply spontaneous composition. 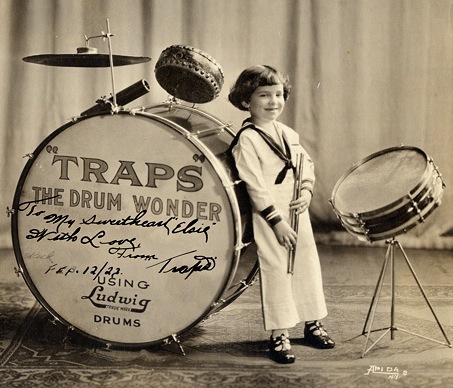 Keeping it simple (harmonically) or vague, imposing limits should free the improviser, not stifle the player. 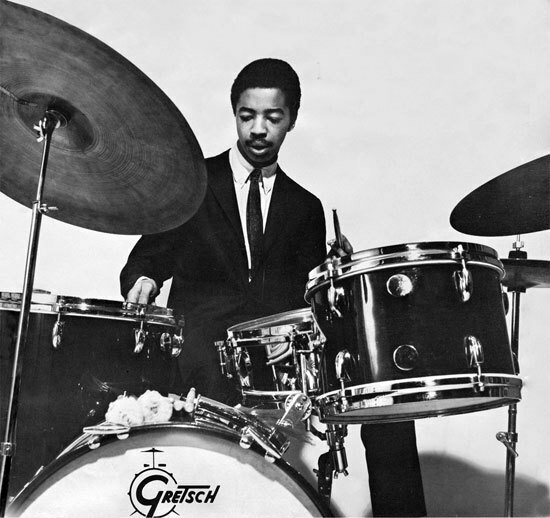 Scoffield’s “A Go Go” – ‘cause it feels great, great groove, again, simple ideas. 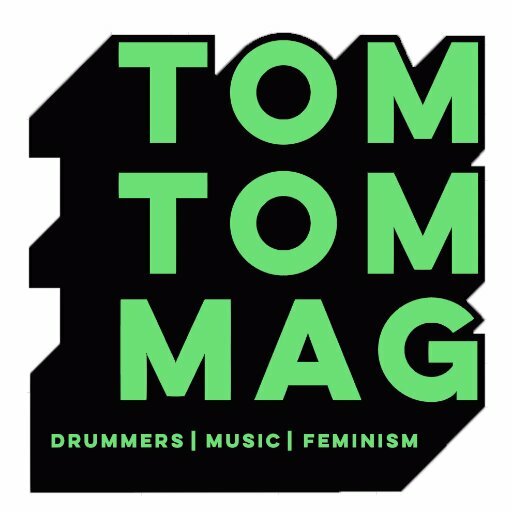 Singers like Madelieine Peyroux, Susanne Vega, etc. have this great simple, unaffected sound that makes me feel like they are telling me secrets about their lives. They draw me in, as a listener. 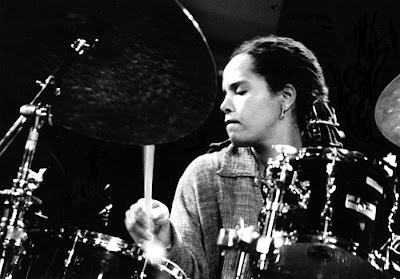 But, I can also respect that amazing abandon and technical ability of Rachelle Ferrell’s “First Instrument”. Maria Schneider (Allegresse) and Bill Hollman (View from the side) are amazing composers/arrangers and I could listen to these recordings for forever. Ah, but you said 5…. I really need to work on my technique. I feel limited by my technical ability right now. I hear ideas in my head and start developing them but I cannot go where I want, yet. Martha Graham (founder of modern dance) said, “technique shall set you free” – I really believe that. I am looking for that freedom. Well, this past year has been about recording where I am as a composer/performer and then trying to build on this in live performance. I really see recording as a method of documenting my development as a composer/arranger and as a performer. I have to say, however, recording often happens backward from where it should be. I write like crazy, I should then go out and play these tunes in public, re-write, play some more and then record. BUT, no one wants you in their room unless you have a recording (it is like a business card, now), so I write, rehearse a bit, record, and then go and play as much as I can. Usually after two or three performances I wish I was recording the tunes again because they finally work. That’s not to say this latest CD, “Time 4 Change” is not great. I’m very proud of it, however, I think the live performances are so much better. 6) As an educator you have been an active promoter of Jazz education at Western Canada High School teaching small group improvisation, big bands and vocal jazz. What can you tell us about your philosophy, methods and goals with regards to teaching young people about Jazz music? I feel very strongly about the need to teach the next generation about this art form to the best of my ability. Like Classical music, it is an Art that takes some time for the listener to truly appreciate. I think teaching it is challenging because it gets “passed off” as some sort of recreational activity that most people can do by ear. Yes, in the 1920’s, players were experimenting a lot using their ear only but there is a lot of time and development between then and now. Many listeners get “stuck” in the 40s and 50s as well because it is a familiar sound and can be listened to quite passively and involves considerably less improvisation. This music is really the foundation or beginning of some of the pop/rock genres of today. The music that fascinates me is the music that requires a little more active involvement (listening) and is presented best in a live setting – very much like the music of the “Classical” world. This is especially hard to “sell” to today’s audiences because we don’t sit still long enough to become actively involved in our listening and, as well, live music is having a bit of a rough go of it. I have faith that this will change but I believe one of the ways we can make positive change is through education. It can be a bit of a battle, though because it does not always draw in big numbers of students and the education “game”, with it’s cut backs and competition is becoming more and more about numbers. Home - order in some great Thai (King and I) with a really, really nice bottle of red wine (probably Australian) and a couple of great friends.